Sharon graduated from Dalhousie University, Halifax, Nova Scotia in 1985. 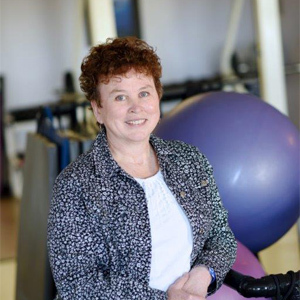 She has had diverse work experience in the Maritimes and Saskatchewan and has enjoyed work in the area of hand rehabilitation for 28 years. She commenced work at Kinetik in 1998 where she is employed as the Clinical Specialist in Upper Extremity Rehabilitation. She has attended advanced training in hand rehab and ergonomics. When not at work Sharon enjoys spending time with her family, hiking, and cross country skiing.